You are being pulled in a million different directions by the stressors of life. Your tense body is ultimately feeling the effects of your hectic schedule and has had enough. You owe it to yourself to just sit back and enjoy some “me time” with no one expecting anything from you. Melt Away Massage is your chance to escape the chaos and soak in serenity in a quiet, peaceful room with the sole purpose of making you comfortable. We offer Melt Away Massage sessions to fit perfectly in all schedules. You have the option of choosing a clothed table or chair open-studio massage. Sessions last up to 30 minutes. Open studio sessions focus mainly on soothing your neck and shoulders. Or you could divulge in a full body massage in our private room where the average session lasts one hour or more. Massage therapy is traditionally performed with the client unclothed; however you can choose what the right amount of clothing is comfortable for you. You will be properly draped at all times with soft fresh sheets, as your comfort is vital to truly relax. It is key that you embrace this experience as an essential component of your healthcare regimen. Whether you are indulging in a Melt Away Massage for pampering, therapy, healing, tension relief or pain management reasons – there is no denying the profound benefits and effects it has on the mind, body and soul. 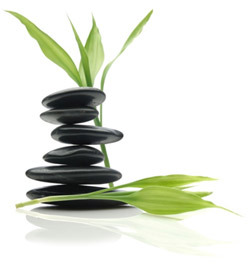 Massage can help decrease anxiety, further peace of mind, enhance energy and overall sleep quality, relieve muscle tension and stiffness, improve flexibility, circulation and concentration, reduce blood pressure and fatigue, and so much more. This is truly a gift for healthier living. This is meant to be a serene and comfortable experience. Please tell your massage therapist if you want a different level of pressure or to stop if you have pain. This is YOUR time, so schedule your appointment now for the ultimate in relaxation and ENJOY!